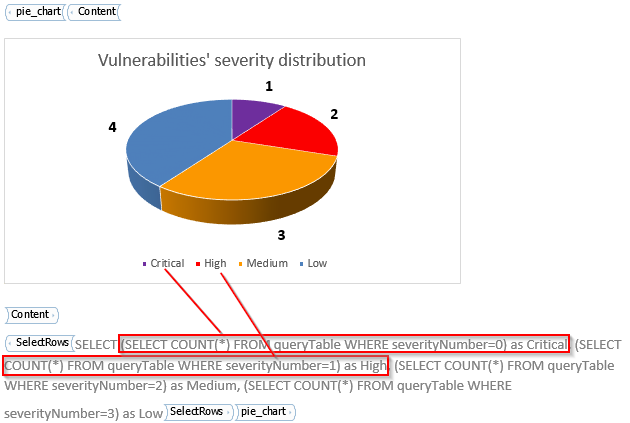 Pie_chart is used to present information in a pie chart. This content type is suitable for e.g. 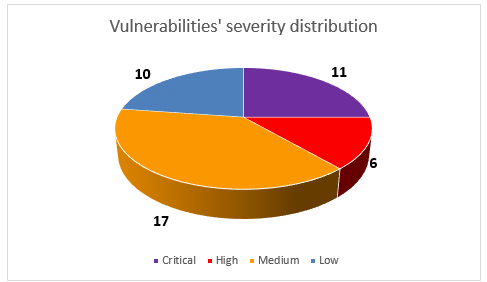 presenting the number of vulnerabilities with different severity. You can design the pie chart directly using all functionality available in Microsoft Word.